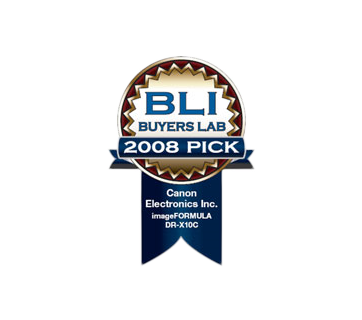 With superb quality and speed, the 500-sheet DR X10C features Canon’s high-precision roller and page separation systems for reliable batch scanning, so you get both quantity and quality in one device. Breakthrough scanning speeds have been made possible with a powerful in-built image processing chip, which allows fast scanning even while multiple concurrent image processing functions are being used. Additional JPEG compression allows faster transfer of high-resolution files from scanner to PC for higher overall efficiency. Three ultrasonic sensors provide protection against double feeds by detecting and preventing overlapping pages from being fed into the scanner at the same time. 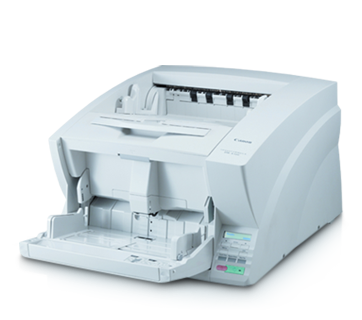 Each sensor can further be set to ignore or detect specified areas of a document to accommodate pages with labels or attachments. In the rare event that a double feed occurs, the Double Feed Retry function returns the document pages to the feeder inlet and retries scanning up to three times before pausing document transport, dramatically reducing the need for operator intervention. The DR X10C combats paper dust with a revolutionary 3-step approach that prevents particles from accumulating and adhering on the sensor glass. This ensures that images are clear of artifacts while greatly minimising the need for manual cleaning.